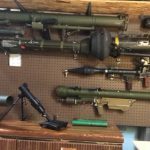 Blog Australian Warships Seize Smuggled Weapons. 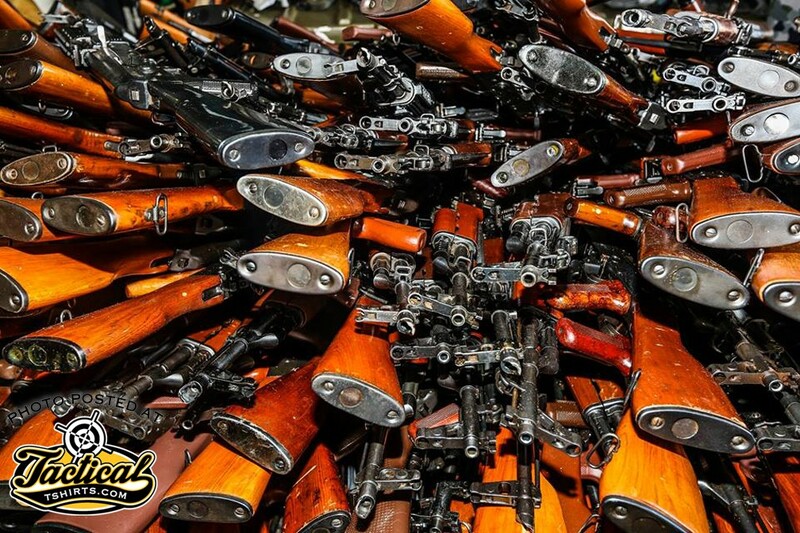 Australian Warships Seize Smuggled Weapons. 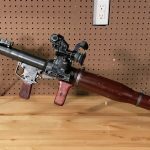 The condition of the weapons looks excellent. 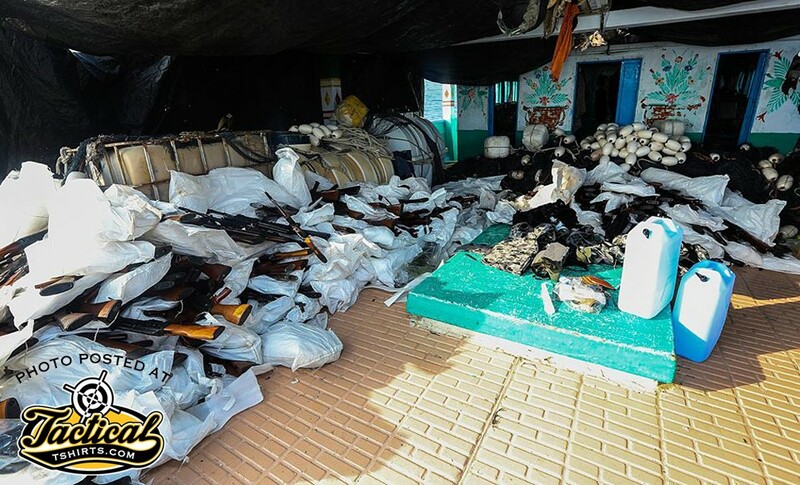 The fishing boat caught with weapons. The piles are pretty impressive. 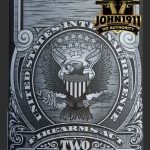 What ITAR violations look like. 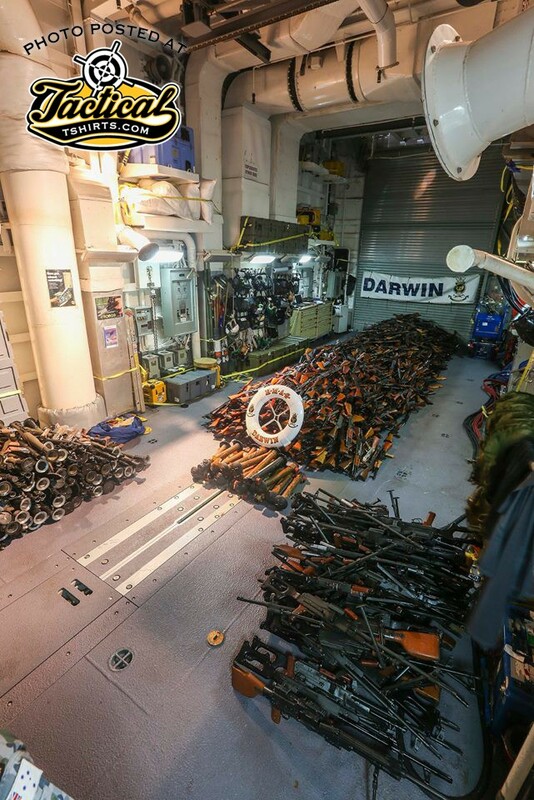 Royal Australian Navy’s HMAS Darwin’s boarding team has uncovered and seized a large weapons cache, following a boarding of a fishing vessel during their deployment to the Middle East Region as part of Operation MANITOU. 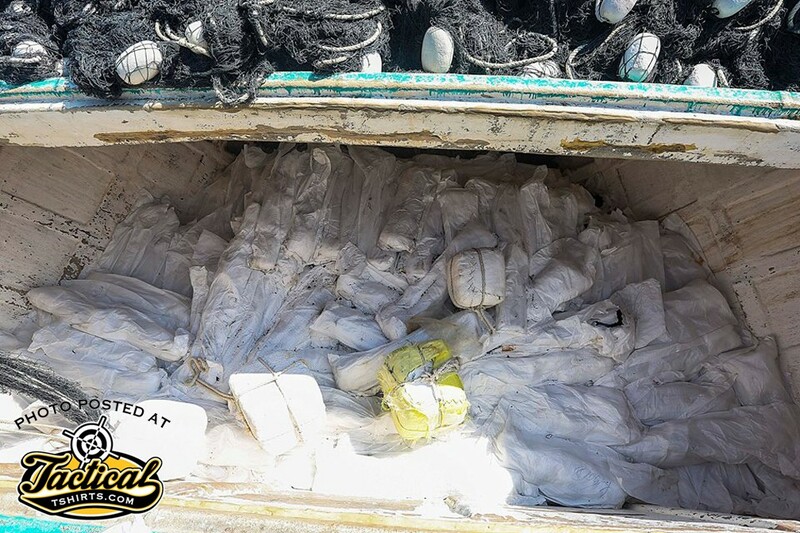 Operating under Combined Task Force 150, responsible for counter-terrorism operations within the Middle East Region, Darwin intercepted the fishing vessel approximately 170 nautical miles (313 kilometres) off the coast of Oman to conduct a flag verification boarding. 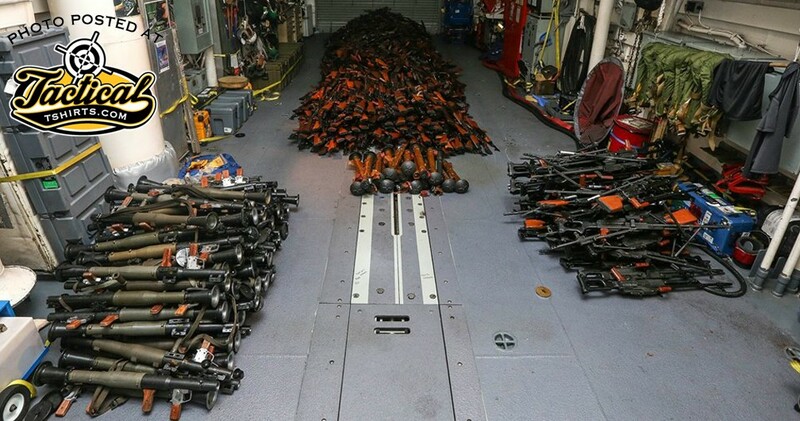 After assessing the vessel to be stateless, 1989 AK-47 assault rifles, 100 rocket propelled grenade launchers, 49 PKM general purpose machine guns, 39 PKM spare barrels and 20 60mm mortar tubes were seized from the vessel that was headed towards the Somalia coast. 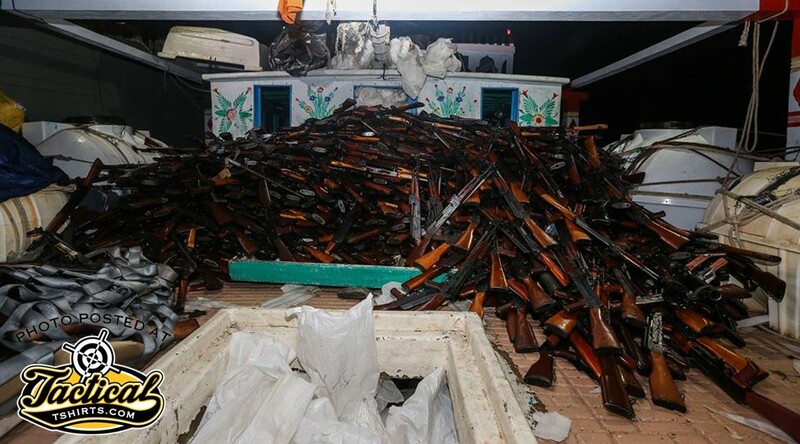 The weapons were seized under United Nations sanctions which authorise interdiction on the high seas of illicit weapons destined for Somalia. 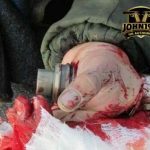 Vice Admiral David Johnston, Chief of Joint Operations Command, said the seizure on Darwin’s first patrol of such a large haul of illicit weapons is highly significant. 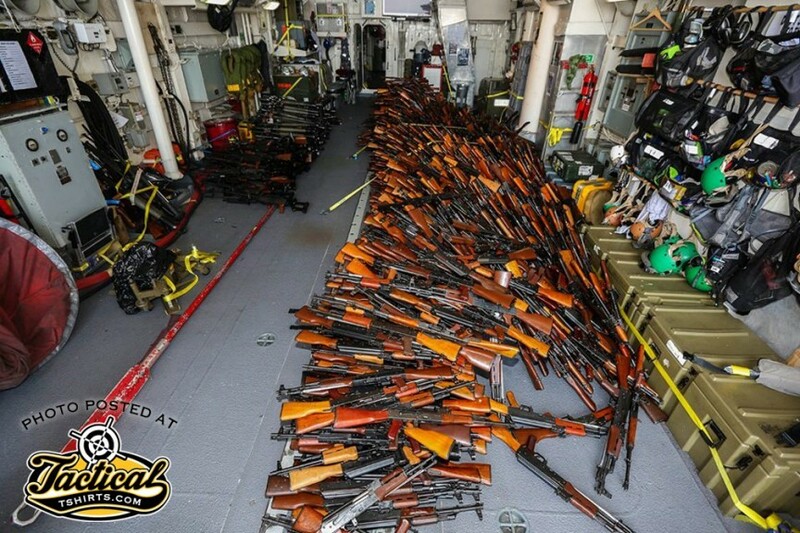 “Australia worked as part of the multinational Combined Maritime Forces (CMF) to discover and seize these illegal weapons. 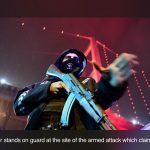 “One of the key reasons HMAS Darwin is deployed to the region is to contribute to global security and counter international terrorism,” VADM Johnston said. Operation MANITOU is the current name for the Australian Government’s contribution to the multinational CMF efforts to promote maritime security, stability and prosperity in the region. Darwin is deployed as part of the CMF and is assigned to the Australian led Combined Task Force 150. 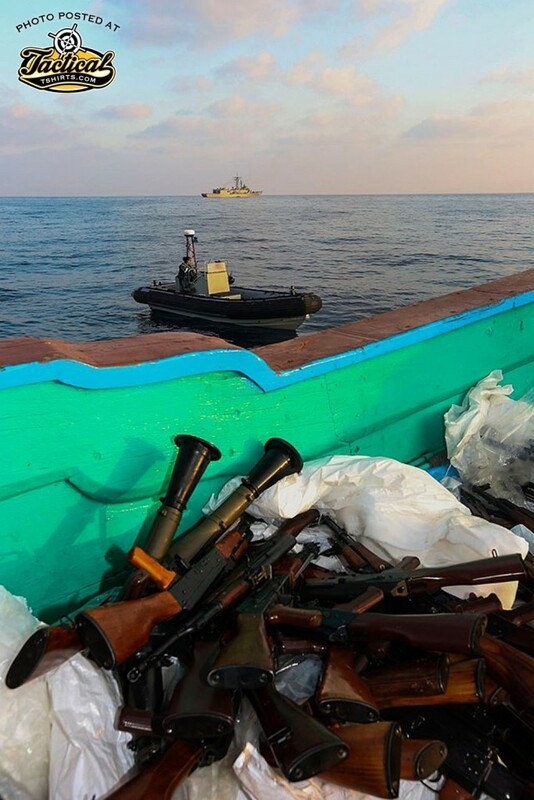 CMF is a multinational effort to prevent terrorism, piracy and drug smuggling, encourage regional cooperation and promote a secure maritime environment in the Middle East and off the north east coast of Africa. Australia’s contribution demonstrates our commitment to making contributions to coalition operations that support Australia’s interests in a rules-based global order. This is Darwin’s 7th deployment to the MER and the 62nd rotation of a RAN vessel in the region since 1990.